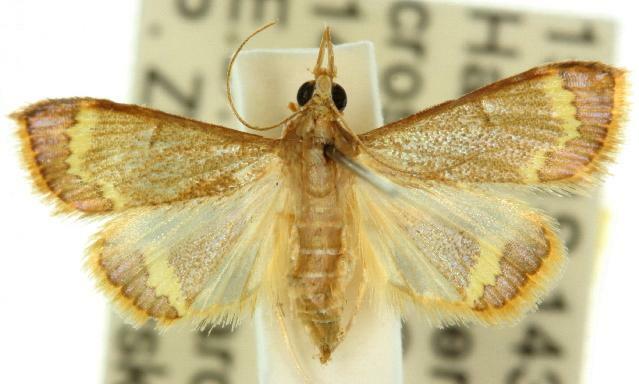 The adult moths of this species have pale brown forewings, each crossed by an angular pale yellow scalloped transverse bar. The hindwings are pale brown, each crossed by a straight pale yellow scalloped transverse bar. The wingspan is about 3 cms. Volume 23 (1880), p. 204, No. 6.